With open arms, open hearts and (hopefully) open minds, we begin again. The calendar shifts, we turn the page, and leave the successes and wreckages of the past year behind us. In the New Year – hopes awaken, dreams rekindle, and we give ourselves the opportunity to peer into the future with fresh eyes. Slate clean. Begin again. What dreams and hopes do you have for 2015? What challenges are you willing to embrace? 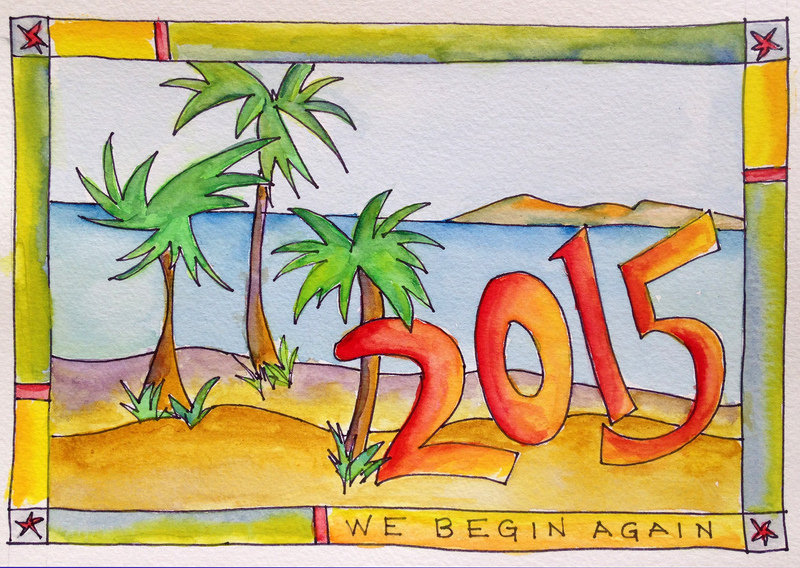 The year began for me, south of the American border with rain and dark clouds – unusual for Loreto, BCS, Mexico. Today, the second day, blustery winds whip the seas into a froth of whitecaps. Butterflies tangle in the winds and birds make fast for secure branches. Like my life at times, holding on tight with an illusion of security, or letting go .. flying freely .. letting change be the watchword. For me, this year, my intention is to let go of all things that keep me small .. This entry was posted in Baja Living, Beach Living, Environment, Oceans, Sea of Cortez and tagged authenticity, Baja California Sur, Baja Dreaming, Cabo San Lucas, dreams, intention, new Years. Bookmark the permalink. Blow a kiss to the waters off Loreto for me. I love it there!